When I got off work on July 1st I headed out to the west side and caught up with my friend Katie at Land Bank. 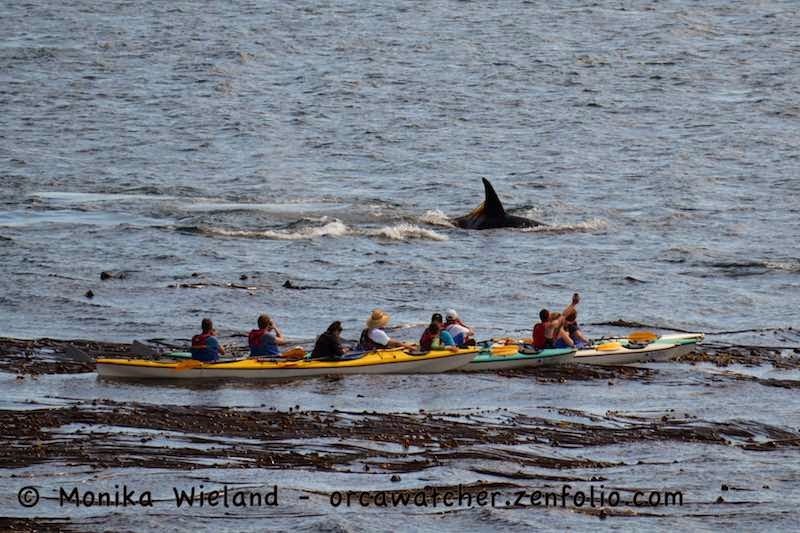 I could tell from Hannah Heights that there were whales off False Bay, but Katie felt sure they would make their way up to where we were, and when it comes to whales, you gotta trust these kind of intuitions. Amazingly, it was one of the rare hot days on the west side of the island. We were actually too warm up in the parking area and decided to walk down to sit near the water, hoping it would be cooler there. The lead whales got up to just about where we were sitting when they stalled out. They had already done this once earlier in the day and it looked like they were about to do it again: turnaround and go back south. There was a lot of milling, and one could just imagine the debate going on underwater about which way to go, based on the whales surfacing facing every which way. Finally, it seemed they had come to a decision, and they started making progress south. Ready to give up, we walked back up the hill to our cars, but something kept us from driving away. 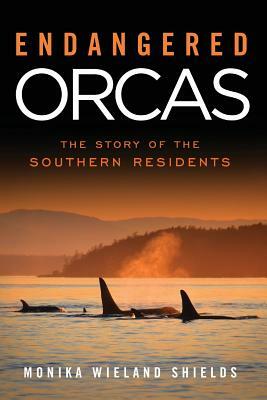 It only took about two minutes for the whales to turn again and start heading "up island" to the north. Back "down hill" we went to see them! This tail slap turned into more of a head stand, it was so big! The next group was moving more slowly, and included L92 Crewser chasing after and rolling around with J28 Polaris. 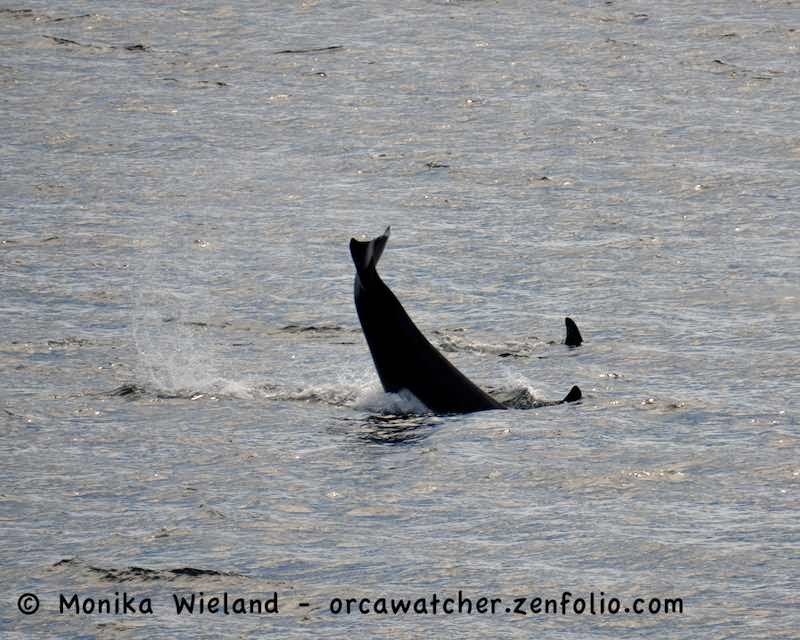 Things are much different in the orca world - this presumed sexual encounter was all witnessed closely by calf J46 Star. The whales looked like they were angling in slightly, and Katie could read my mind - "You want to go to the Park, don't you?" she asked, meaning Lime Kiln. Yes, I did. 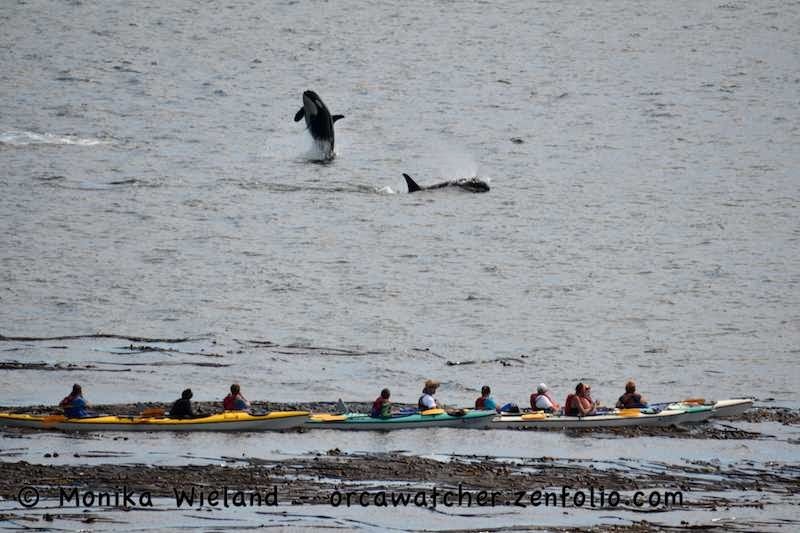 Whale chase again! And it worked out great. The group was a mixture of Js and Ls, but it was a bit hard to get IDs due to the lighting. Sometimes, it doesn't really matter who's who! 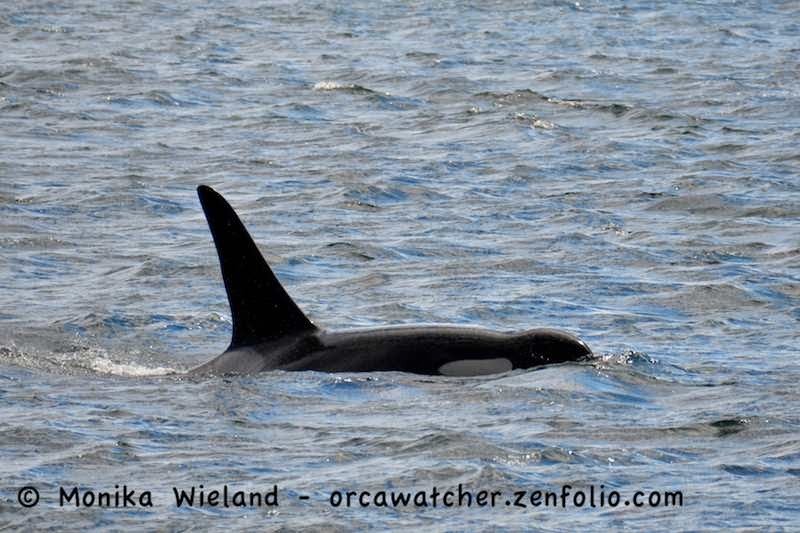 As I was leaving the Park, I heard that J-Pod Group A was found at the south end of Lopez Island. 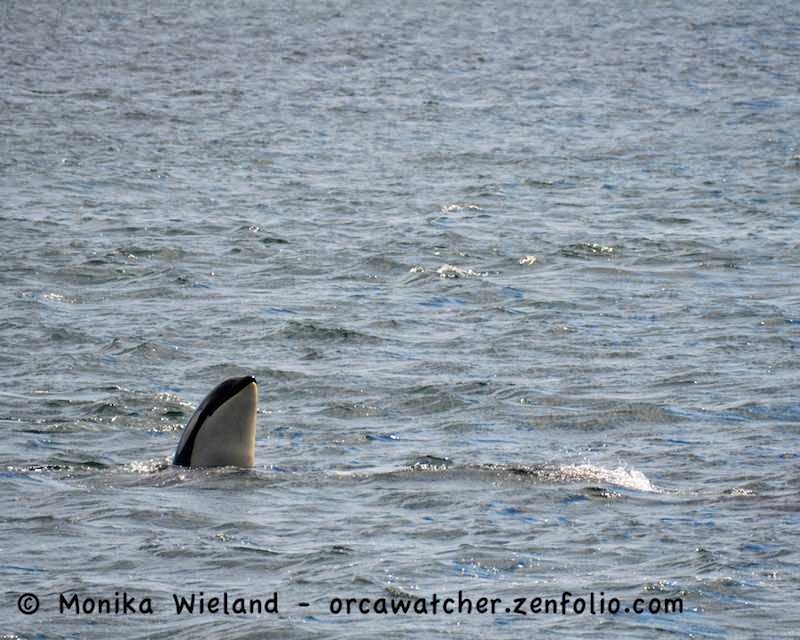 I wondered if the other whales thought they were going up to meet this group heading down from the north via the route they often take, but would be surprised later when instead the missing group would come up from behind them! 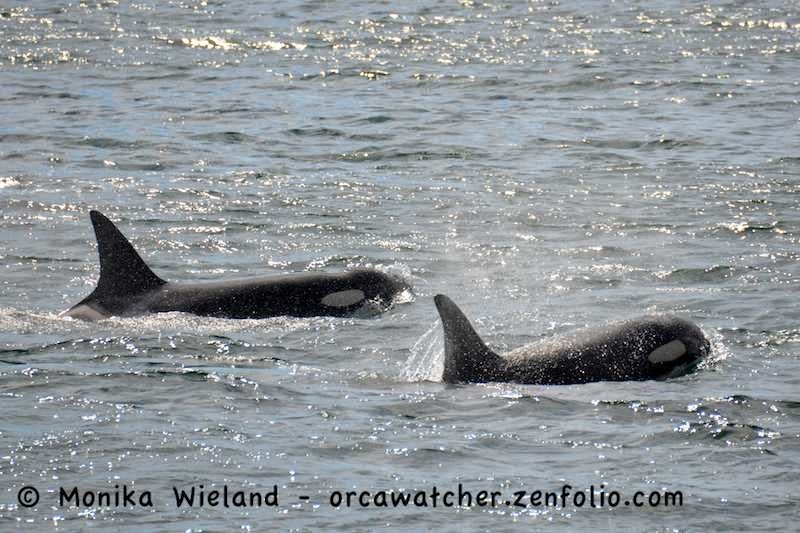 The following day, the 2nd, the exciting news was that K-Pod had returned! 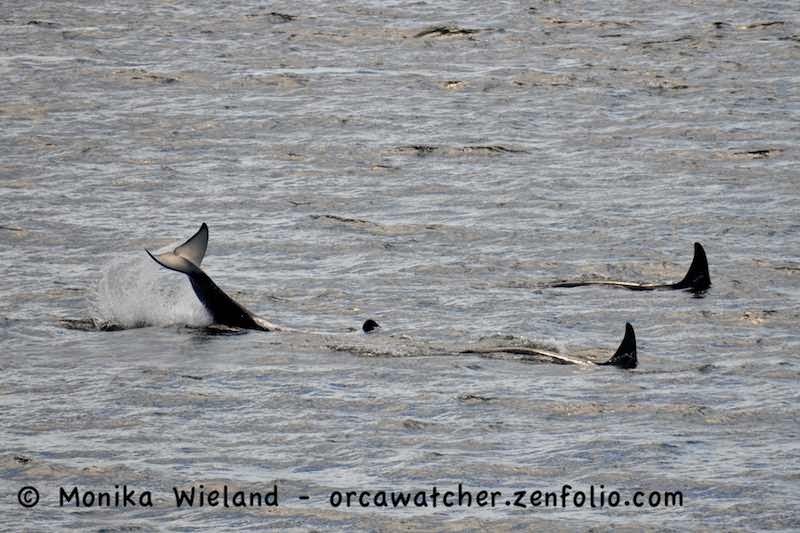 Ks made a brief and unexpected visit in mid April, but this time the first superpod of the season was in the works! We call it a superpod when all three pods get together, though in reality the L12s and L54s weren't around, so it wasn't everyone. 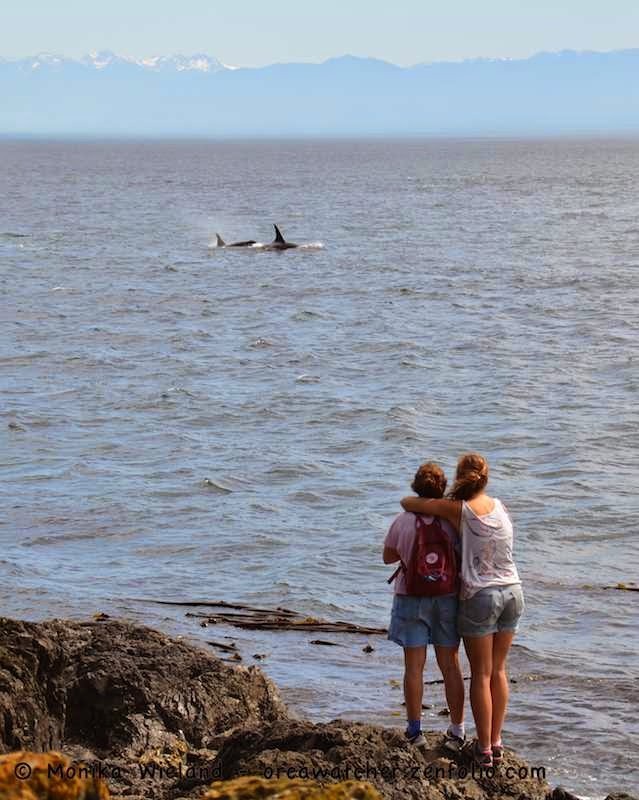 Unfortunately I missed them, but this morning (the 4th) I went out to Lime Kiln on a whim, despite having heard last night all the whales might be headed out. 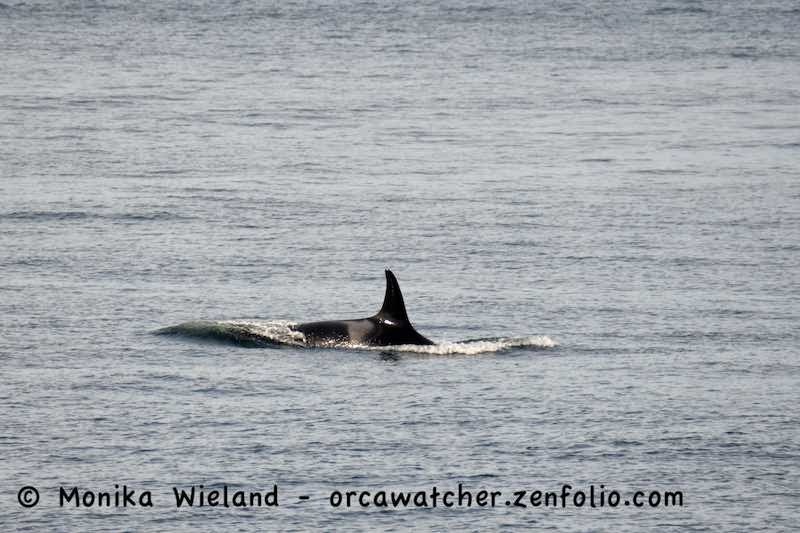 When I got there I learned J-Pod Group A had already gone north very early, so I stuck around, believing there must be more whales around somewhere! 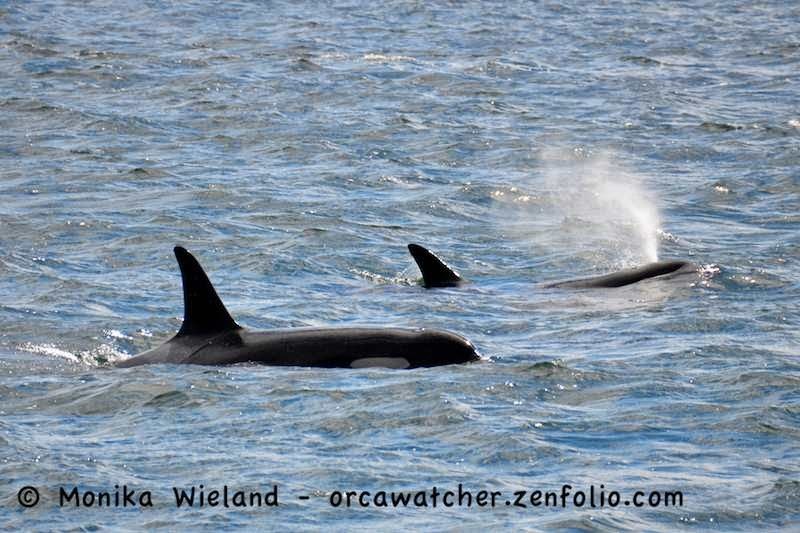 Sure enough, between 9 and 9:30 a few K-Pod whales made their way up to the lighthouse. They flipped and went back south after just four of them had gone by, however, so I only got to see a couple of them despite seeing many more blows in the distance to the south. It was still nice to say "hi" to K12 Sequim, though! I didn't think it was possible for you to get a photo from a new angle. But you did it with the breach and the butterfly effect of the saddle patches. Cool!